MLM Software Kolkata's sms integration software service is capable of delivering text messages by means of the Short Messaging Service i.e. sms direct to your customer's mobile phones. It is obvious that your clients will not be able to be present in front of their PCs or Laptops all the time but today you can remain connected you to your huge clientele through mobile phones. Here lies the significance of Integrated SMS software that can be used for sending sms with the help of this service to convey any business related messages any time anywhere. We offer simple and cost effective, quality SMS Integration software services taking your business to a higher level. Bulk SMS messaging permits you to motivate your customers with the latest offers, news and other information details concerning your products and services. SMS integrated messaging software is a prompt and efficient way of getting closer to your customer. 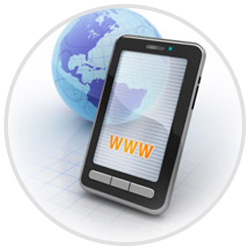 SMS Integration software also allows you to insert SMS text messaging into your website. SMS Integrator is completely Computer based SMS Management System that can work with internet or without any internet access. Our Corporate SMS Integration software is specially designed for Sales, Market Promotions to build and retain long term customer relations, Stock Brokers, Banking and Insurance sectors. Our SMS Integration Software customized for any other business sectors like Hotels, Airlines, Retail Outlets, and Logistics etc. MLM Software Kolkata's SMS Integrator can be managed creating groups and mobile owners, inbuilt templates and personalized messages. Security is provided by encrypted messages and is password protected. The installation process is also very easy and is intelligible to manage and use.